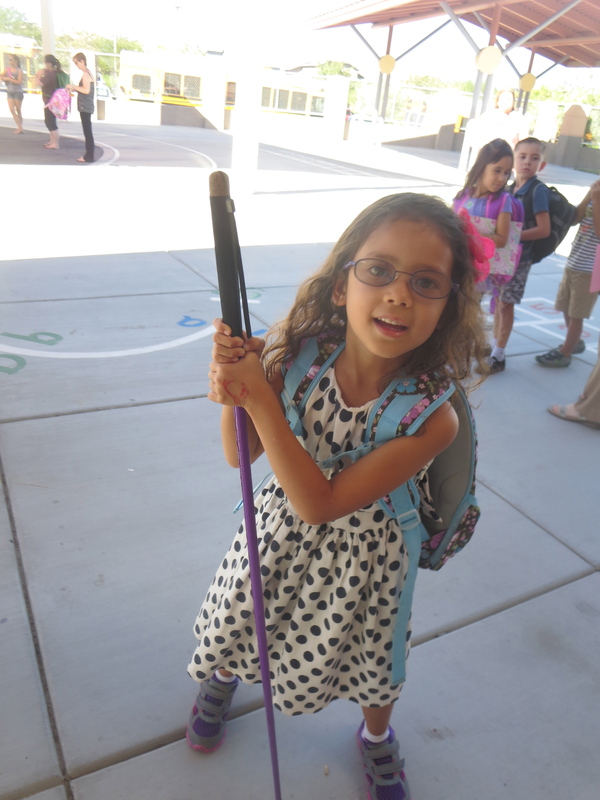 Ever since she was little, Marley has always wanted her own cane. So, of course, when we found out that she’s got mommy’s eyes, we didn’t hesitate to get her one. What was the first thing we did when her cane arrived in the mail? We made it purple, Marley’s favorite color. 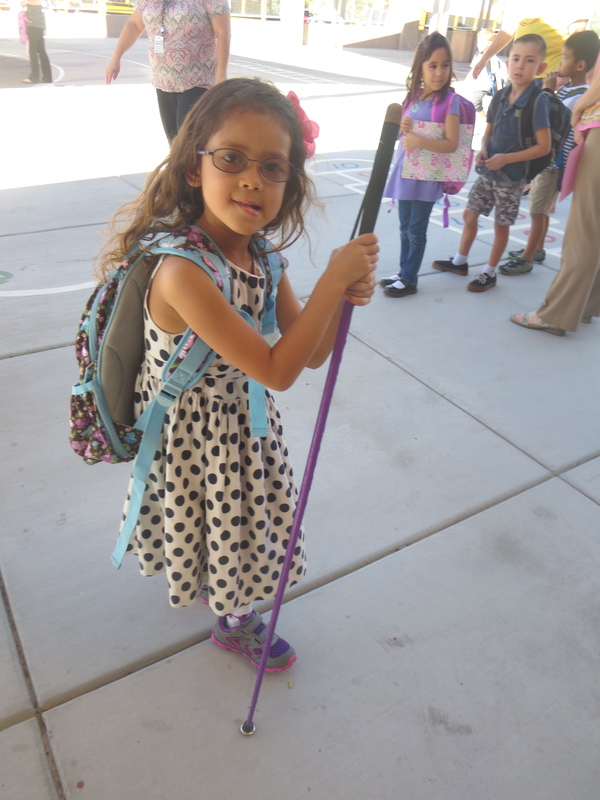 For the first few months this purple cane remained nameless, until just last Saturday when Marley decided that her cane’s name was Mrs. Cane. 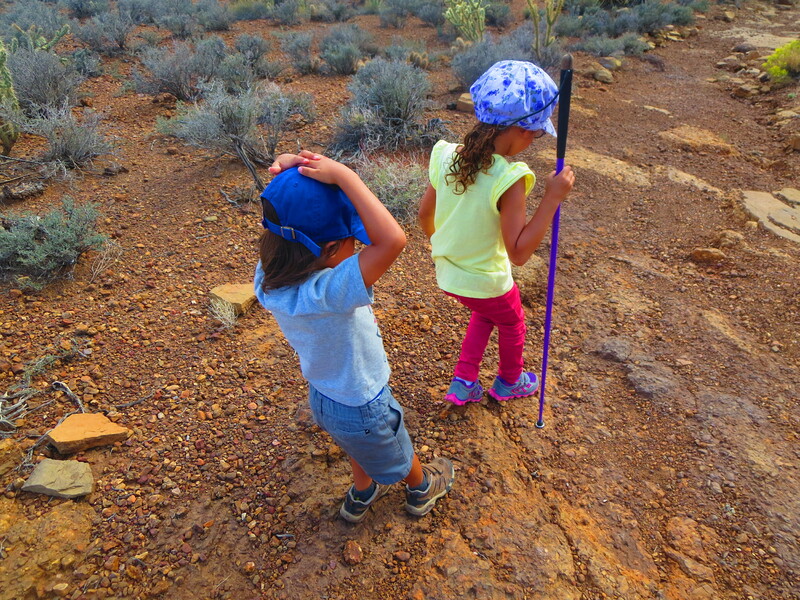 Marley and Mrs. Cane led the way as we spent an afternoon hiking at Spring Mountain Ranch State Park just outside Las Vegas. 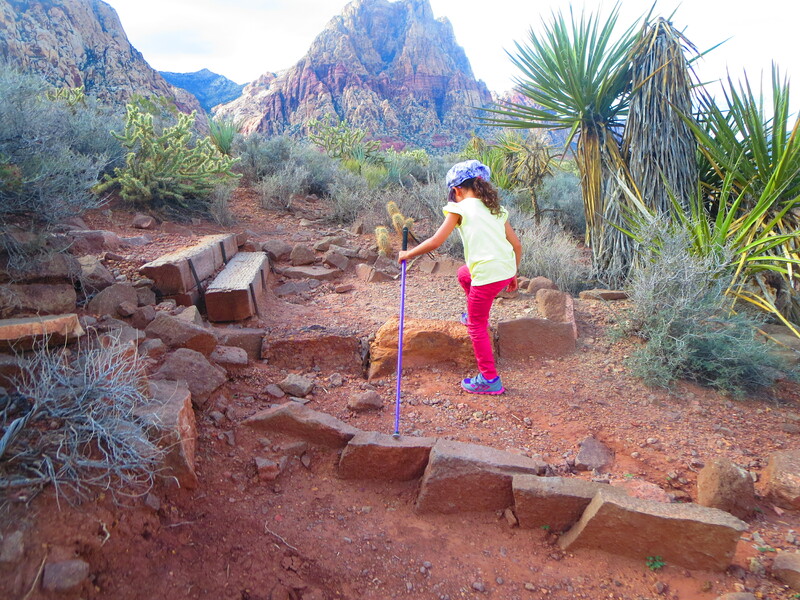 It’s apparently obvious that her steps are much more confident when she’s got Mrs. Cane with her. After many spills, scraped knees, and stubbed toes, she’s starting to realize that she doesn’t have as much of those when Mrs. Cane is there too. Mrs. Cane doesn’t always go everywhere Marley does. It’s still a work in process getting her to want to take it along. 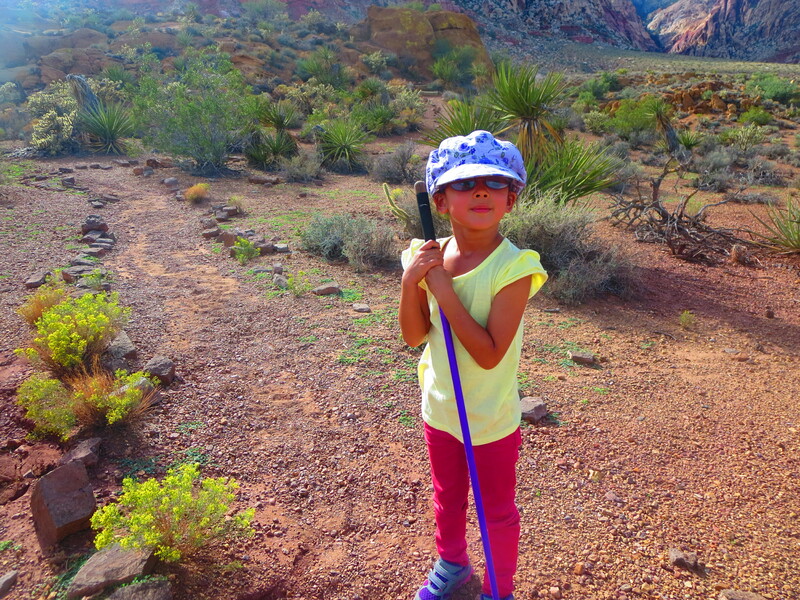 We work on the basic cane rules, and practice proper cane etiquette when she does have it with her. 1. A cane is not a toy, it’s a tool. 2. Nobody is to hold or use the cane accept Marley. 3. The cane’s tip always stays on the ground unless when tapping it. 4. The cane needs to be in front not behind so it can do it’s job right. 5. If you’re not using the cane, it needs to be lying flat on the floor or standing straight upright so that it won’t trip anyone. Today was a big day for Marley and Mrs. Cane. 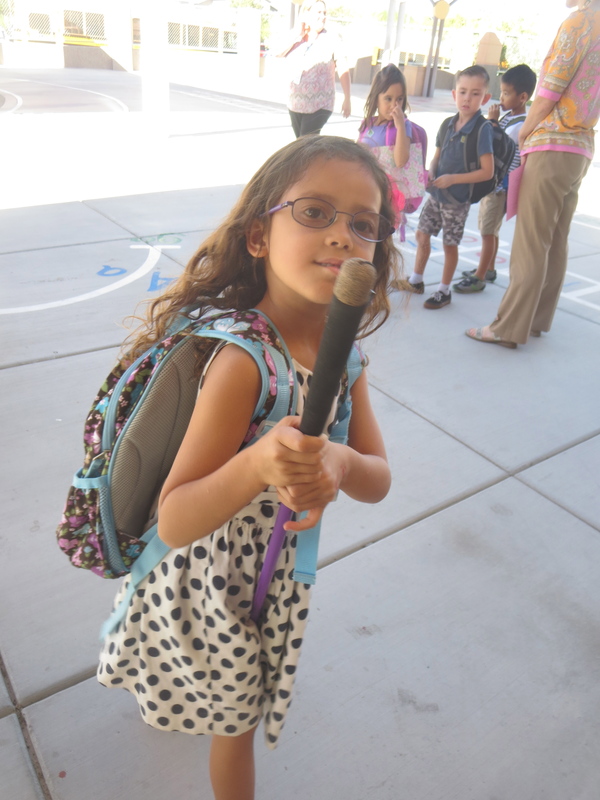 Marley asked if she could bring her cane to school with her. Of course I said yes. I have been hesitant to push, wanting her to do it once she felt ready. Today was that day. Her teacher also said she did great. 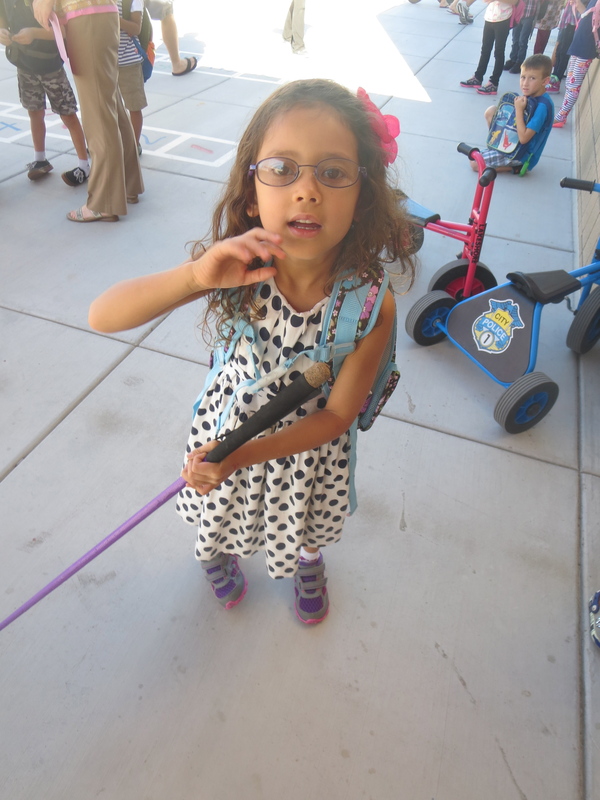 There were a few times between station rotations where Marley wasn’t sure where to put her cane and a few kids tripped over it. We’re all excited to learn new tricks, tools, and tips together and work as a cohesive team with Marley’s best interest in mind. Posted on September 23, 2014 by MamaRupp	• This entry was posted in Uncategorized and tagged Blind, cane, cohesive, confident, etiquette, hike, Marley, rules, School, team. Bookmark the permalink. Thank you Genevieve. I have a lot of fun writing, and enjoy sharing my stories with the world. I’ll have to check out your book.